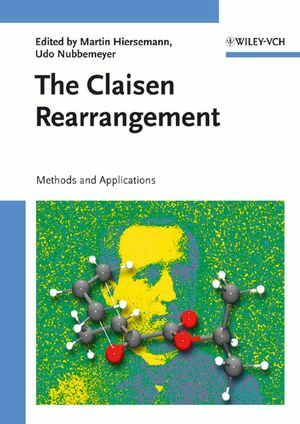 The first comprehensive coverage of all facets of the Claisen rearrangement and its variants. As such, this book helps synthetic chemists to exploit the vast potential of this elegant C-C linking reaction, discusses a wealth of catalytic options, and gives those more theory-minded chemists a detailed insight into the mechanistic aspects of the Claisen rearrangement. An invaluable source of information and a ready reference for all organic and catalytic chemists, as well as those working with/on organometallics, and in industry. Martin Hiersemann was born 1966 in Berlin, Germany. He received his Ph.D. in 1995 under the guidance of Johann Mulzer at the Freie Universität Berlin. After postdoctoral stay with Gary A. Molander at the University of Colorado, he started his independent research at the Dresden University of Technology in the fall of 1997. He was a visiting scientist at the University of Tsukuba in the group of Akira Hosomi in 2002, at Harvard University in the group of David A. Evans in 2003 and at the Montana State University with Paul A. Grieco in 2004. His research activities are concerned with the catalysis of sigmatropic rearrangements as well as natural product synthesis. Udo Nubbemeyer received his Diploma and PhD in the group of Prof. Dr. E. Winterfeldt (University of Hannover) and spent a postdoctoral spell at the Ciba-Geigy Laboratory at the University of Fribourg (Switzerland) with Prof. D. Bellus and Dr. B. Ernst (1989/1990). From 1991 to 1996, he worked on his 'Habilitation' in the group of Prof. Dr. J. Mulzer (Freie Universität Berlin). Then, he passed an assistant lecturer period in Berlin and a temporary professorship at the TU Dresden (1999/2001). Actually, he works as an associate professor at the Johannes Gutenberg-Universität of Mainz. His major topics of interest are olefin synthesis, aza Claisen rearrangements, radical cyclizations, medium-sized rings, total synthesis of natural and pharmaceutically important products, alkaloids, eicosanoids, steroids, and amino acids. "...The book commends itselfs by its lucid arrangement of the material and the wealth of material that is covered. It gives a broad overview of methodologies of this old reaction and their application in modern synthetic chemistry and is recommended in particular to PhD students, but of course also to all other chemists in academy and industry."